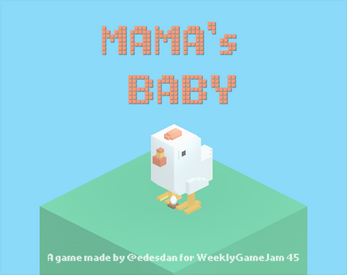 Mama's baby is a game about being a good mama for your baby. Your job is to take care of a little chicken through all the stages and challenges of a chicken's life. W,A,S,D or arrow keys to move the chicken. Sound effects from http://www.freesfx.co.uk/ . Good concept, I can definitely see this idea expanding more! Thanks! I'm working on it! Let's see what I can do.. I like the 3D pixel art style (do you us magica Voxel :) ? 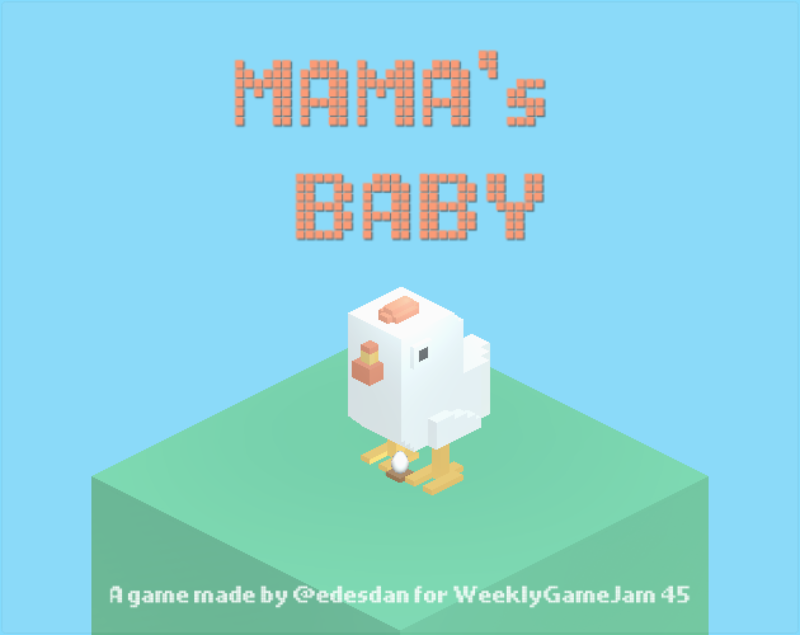 ), cool submission with a cute story and simple, relaxing gameplay ! Ashame there's no sounds but other than that, nice job ! Thanks for the feedback! Yes I used magica voxel, it is such an amazing tool! I will be extending the game, I would like to add more levels and of course music and SFX. Glad that you like it! I'm hoping to extend/finish it. I really have a lot of ideas for new levels, sfx, music.